I love food events! 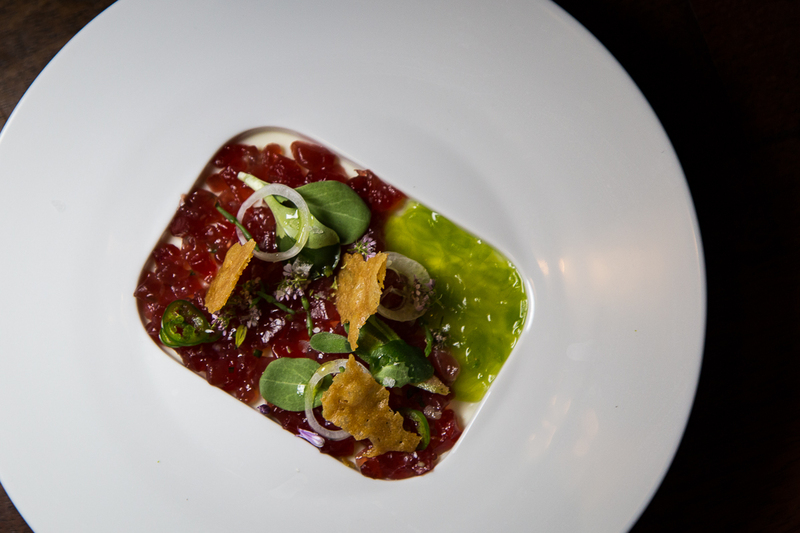 As a food blogger that enjoys nothing more than experiencing great cuisine, photographing beautiful dishes, and getting to know the people behind the plates, I am always looking forward to great food experiences. 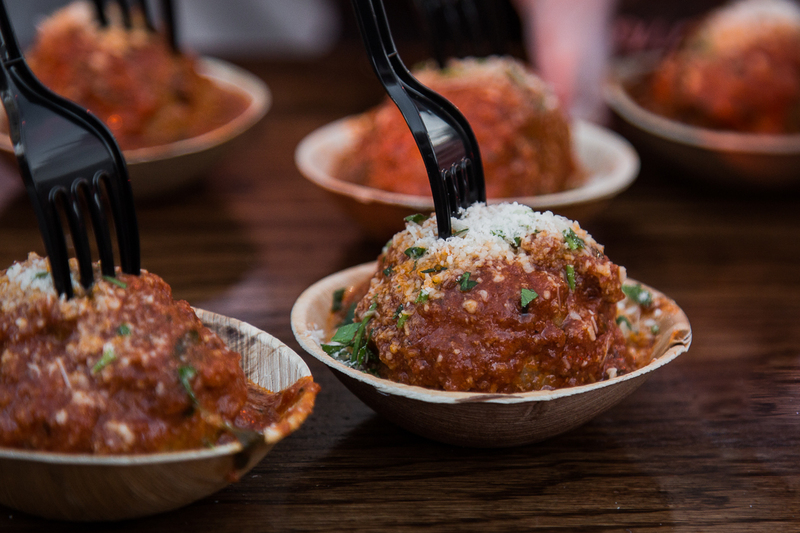 So when I heard about Bon Appétit’s Vegas Uncork’d and the incredible lineup that included some of my favorite restaurants and chefs from The Forum Shops at Caesars Palace, I quickly signed up for the grand daddy of all food events in a city that is revered as the Big Stage in the culinary world. 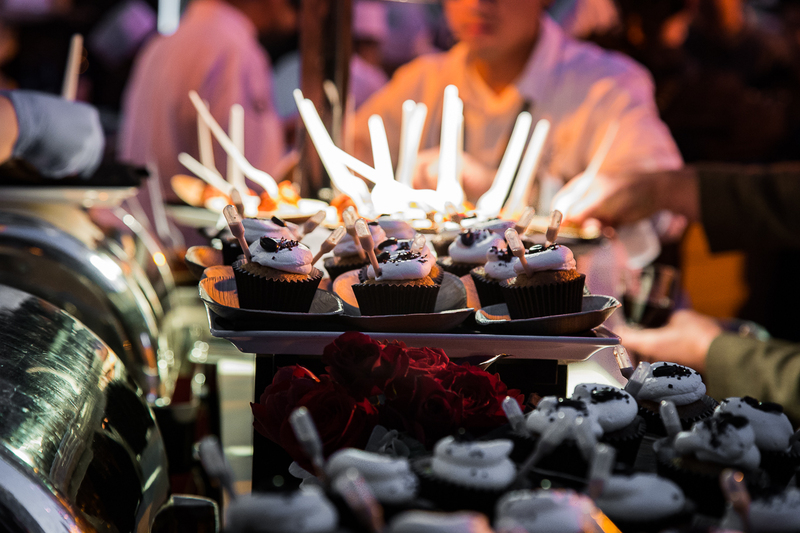 Vegas Uncork’d is the premier culinary and wine event in Las Vegas, offering exclusive one-of-a-kind experiences with some of the world’s most celebrated chefs. My past experience with these kind of events pales in comparison to Uncork'd. 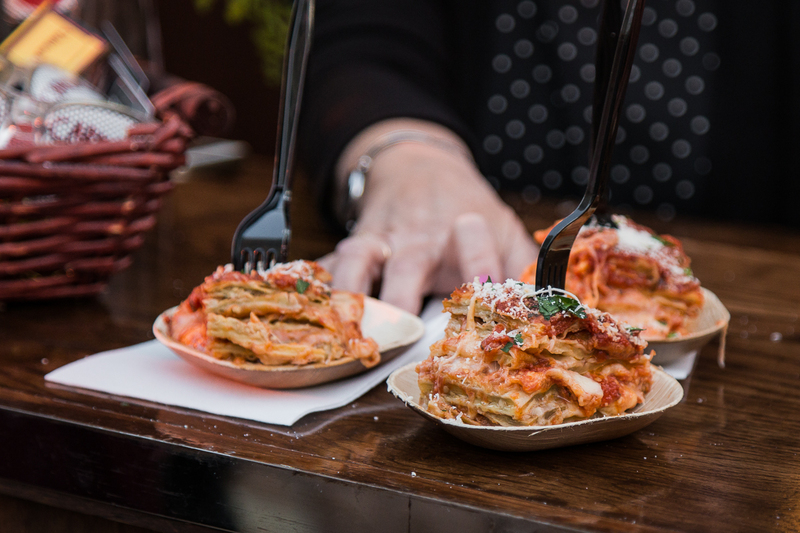 If you're not the biggest fan of food festivals, I believe this one would convert you. Suffice it to say, in the church of Vegas Uncork’d, I became a devout believer that weekend. Below are the highlights from my trip. at Caesars Palace Las Vegas Hotel & Casino. 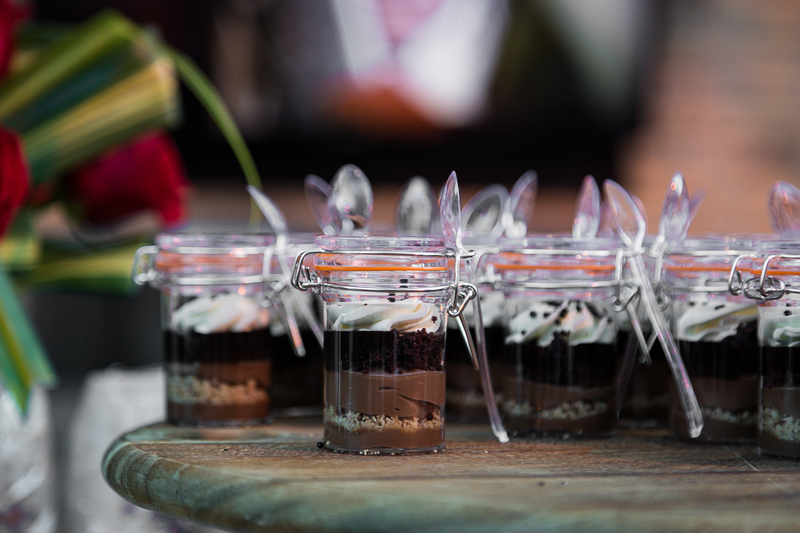 The Grand Tasting is the signature event of Vegas Uncork'd, where over 2,500 foodies have the opportunity to taste a variety of signature dishes prepared by some of the best chefs around. The setting is the five-acre Garden of the Gods Pool Oasis at Caesars Palace Las Vegas Hotel & Casino. Celebrity Chefs were out serving dishes and taking photos. I had the pleasure of meeting some of my favorite chefs like Mary Sue Milliken, Susan Feniger, Bobby Flay, Giada De Laurentiis and Gordon Ramsay. With over 100 of the best wines and spirits from around the world, The Grand Tasting was the party of the weekend. 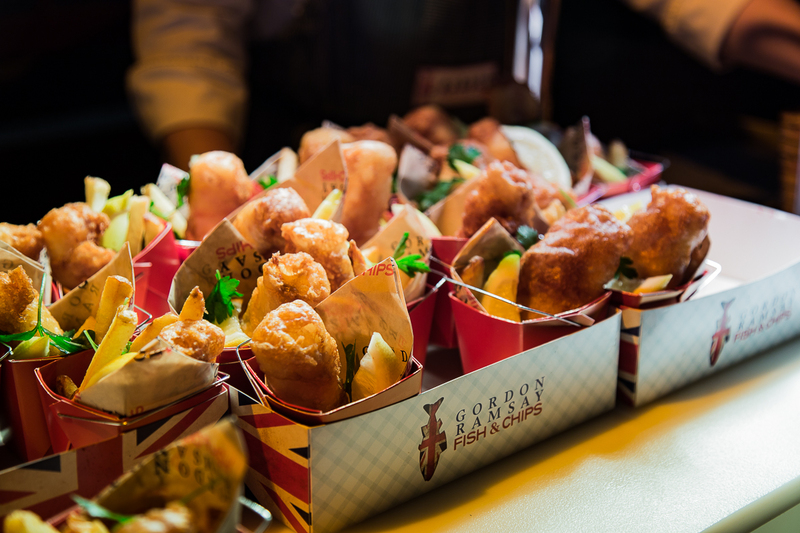 The food offerings were outstanding, and the restaurants from the Forum Shops and Caesars Palace brought it that night. 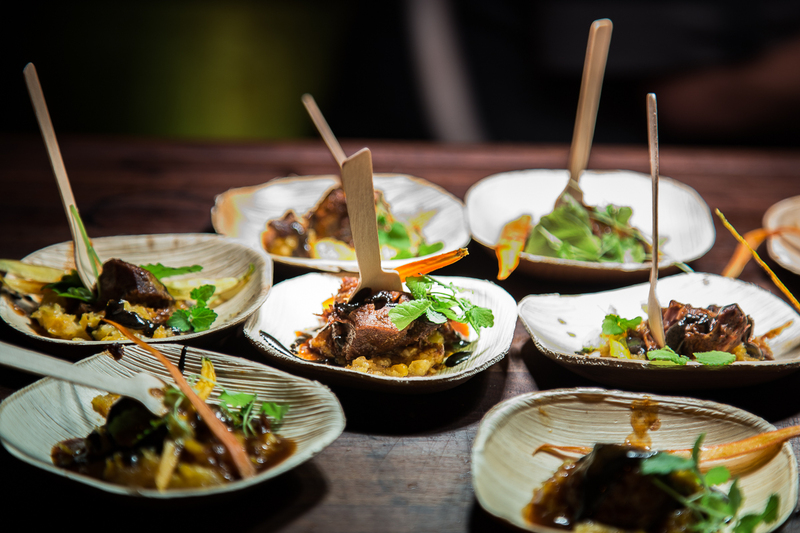 One of the best bites of the night: Border Grill's Kurobuta pork cheek and green corn tamales. Carmine's legendary meatballs for the win. Lasagna from Carmine's is the ultimate comfort food. Rao's tiramisu cupcakes infused with espresso and a shot of Bailey's. 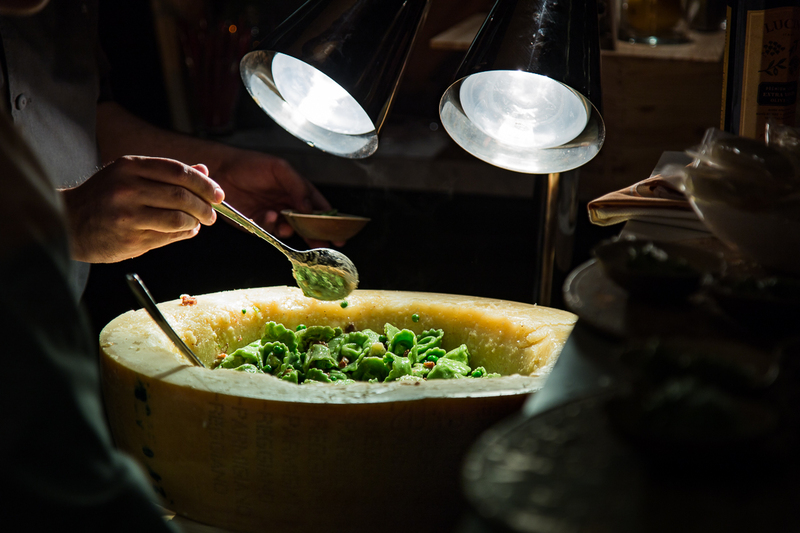 Giada's team going big with pesto tortellini finished in a large wheel parmigiano reggiano. Quite possibly the best fish & chips on the Strip. Aside from the Grand Tasting, what makes Vegas Uncork'd so unique is the variety of over 30 exclusive dining events throughout Las Vegas. 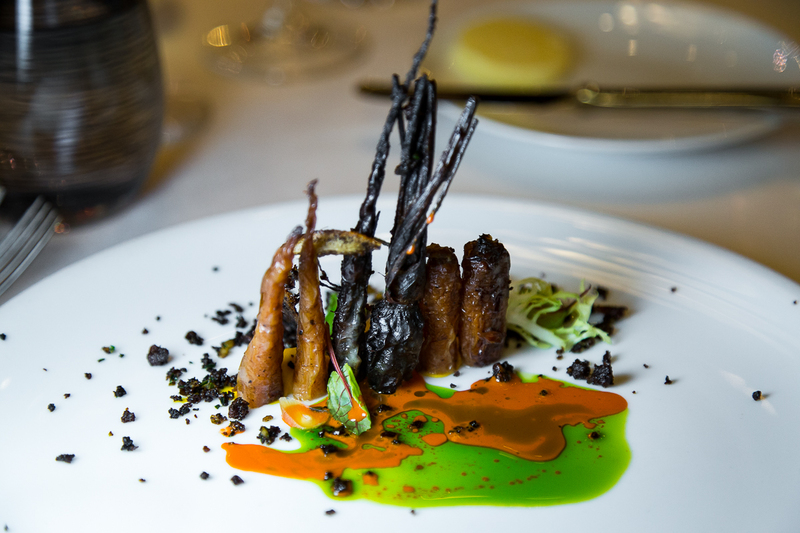 These private events showcased beautiful tasting menus with a hands on experience from the chefs themselves. Spago's 25th anniversary lunch at The Forum Shops was one of the most memorable experiences that began with a rosé caviar pizza reception. Spago Anniversary lunch first course: tuna with sea beans and succulents. Second course: Carrot with miso and fermented garlic. 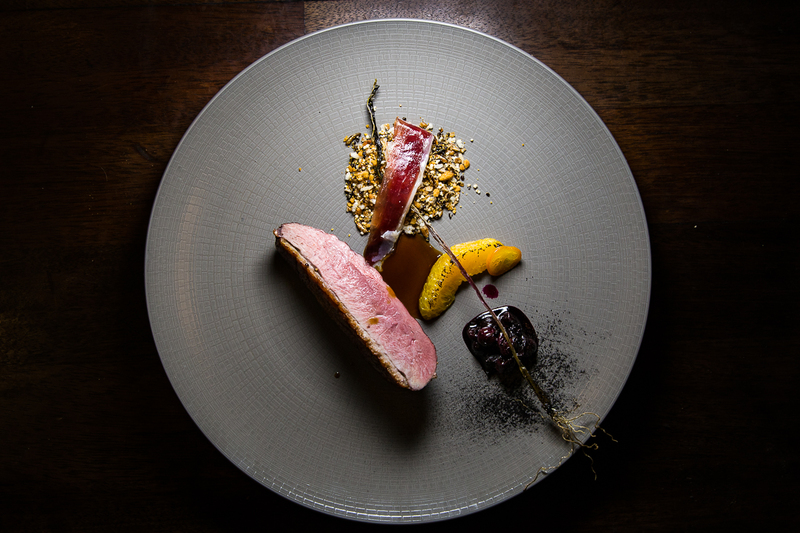 Third course: Sonoma duck breast with ancient greens, brown butter, blueberry, and burnt citrus. 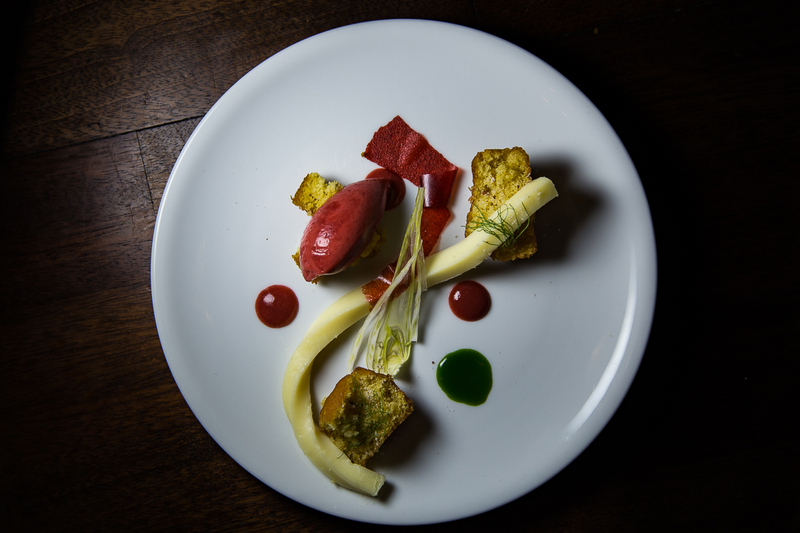 Dessert course: White chocolate rhubarb, citrus cake and fennel. 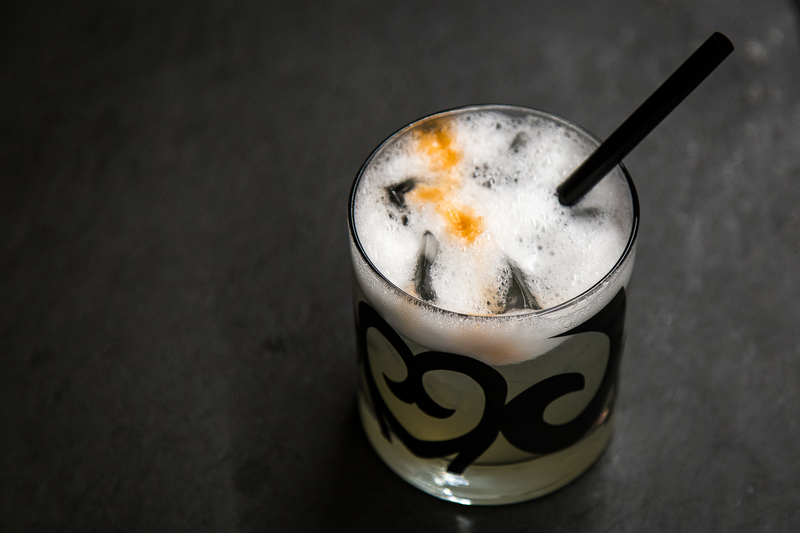 Pisco Sour - one of the cocktails to welcome guests at Border Grill. I haven't laughed that much at dinner in a long time! 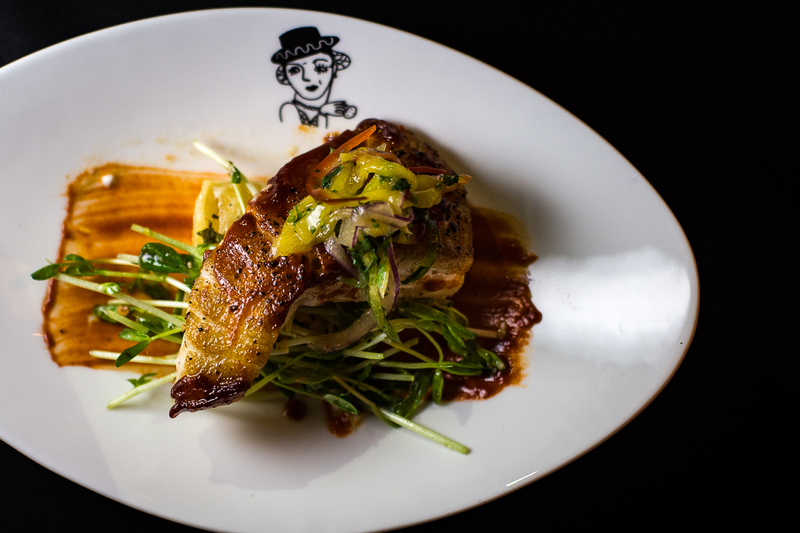 If you haven't attended one of Mary Sue & Susan's dinners, you're missing out on an incredible experience. The lighthearted and funny stories they shared made you feel like you're hanging out with friends over great food. The Tapas and Wine dinner at Border Grill at The Forum Shops is a must for anyone looking for great food and fun. 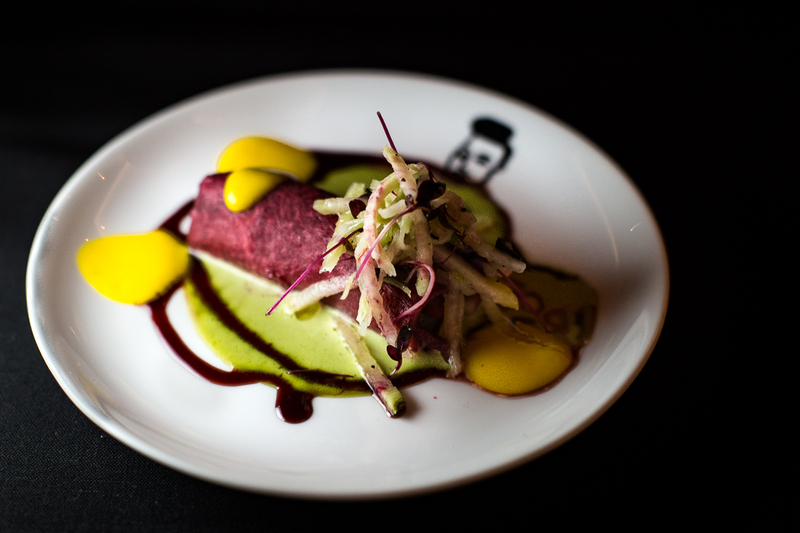 Veggie Ceviche Enchilada with hibiscus-infusedjicama & jalapeño cream sauce. Alaskan Halibut with rocoto chile bbq sauce and mashed yuca. 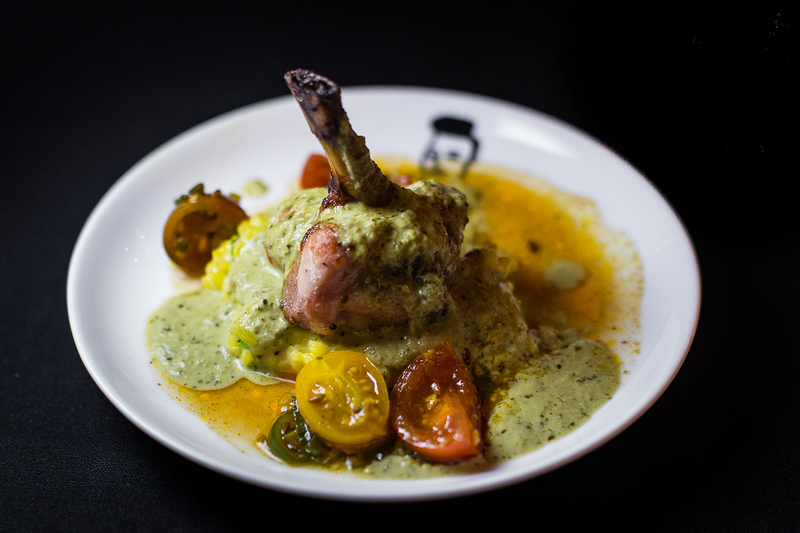 Ciudad Chicken Lollipop with pickled tomatoes and cilantro sauce. 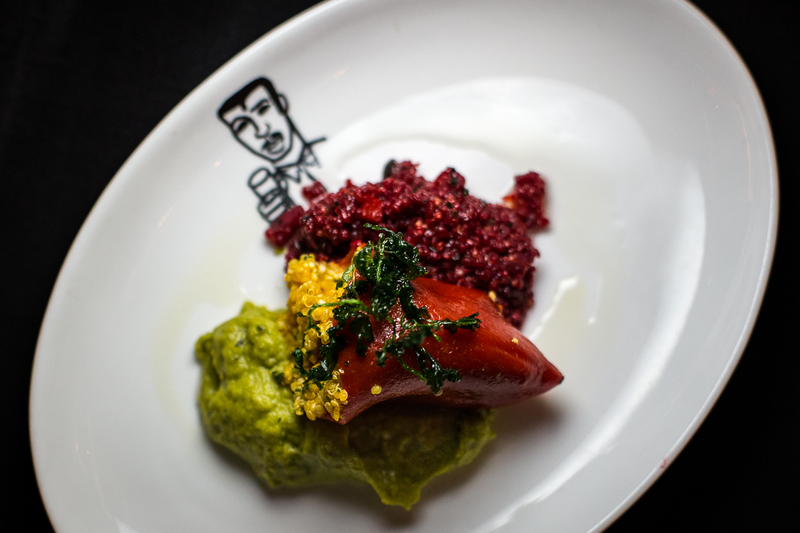 Piquillos Rellenos with quinoa salad and green garbanzo bean hummus. Salmon Cake Benedict with wilted spinach, piquillo peppers, poached egg, and Prosecco Hollandaise. 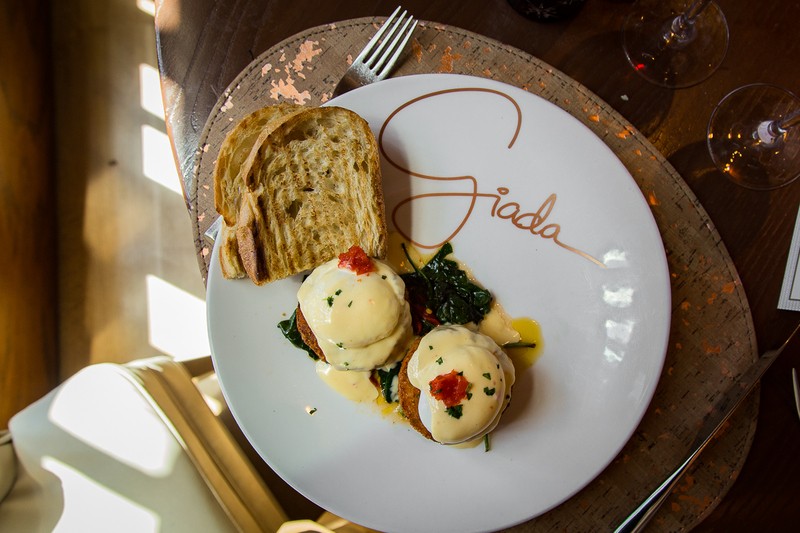 One of the most beautiful spaces on the Strip, GIADA is the perfect setting for an amazing brunch. 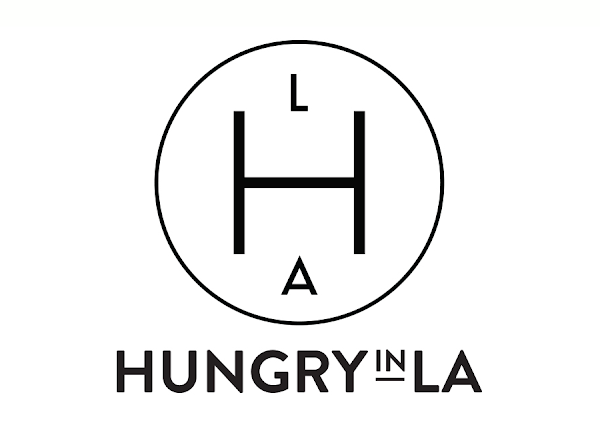 The food is outstanding and you'll want to finish every single plate. The only thing better than experiencing this brunch is if Giada herself were there. Well, she was! And she even took time to snap a photo with everyone, after trying her food, of course. 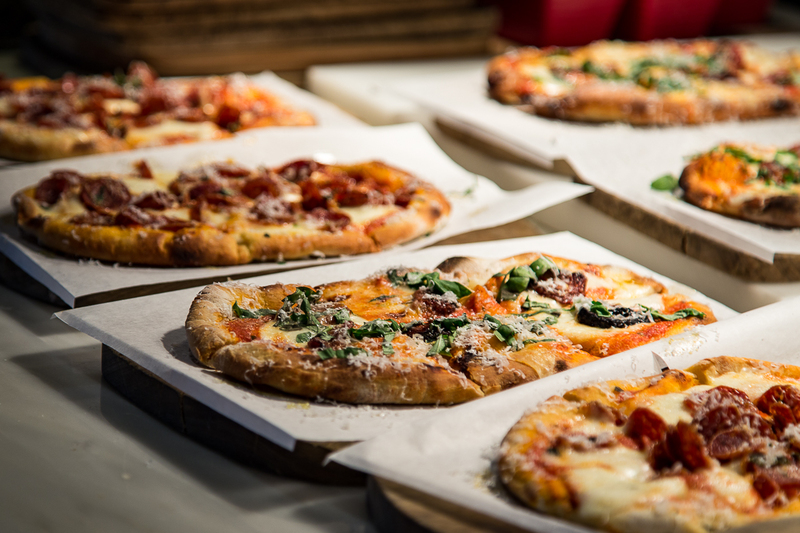 Pizzas served to guests as they entered the restaurant for brunch. 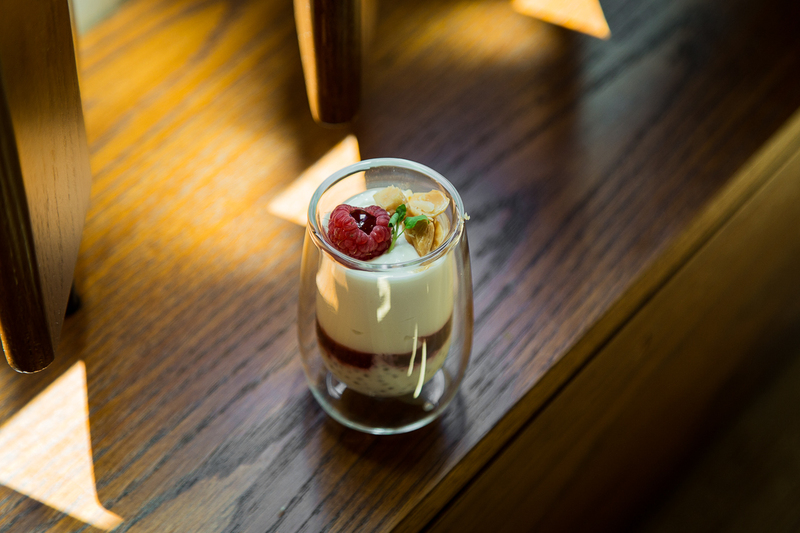 Chia seed parfait with fresh raspberry, chia seeds, maple-sweetened Greek yogurt and toasted Marcona almonds. 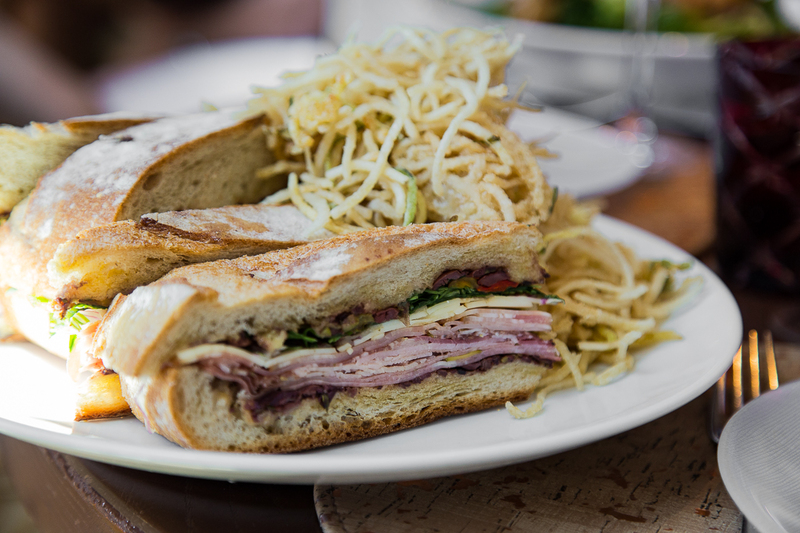 Muffuletta with mortadella finocchiona, porchetta, prosciutto cotto, and aged provolone. 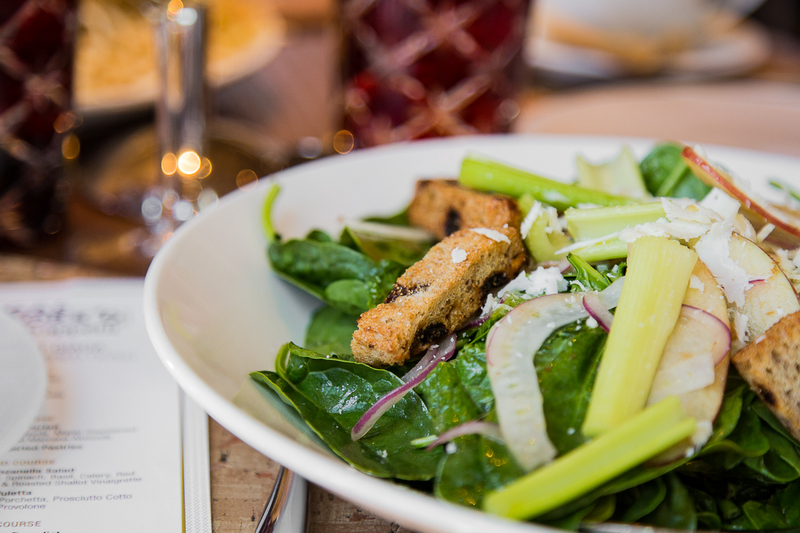 Waldorf Panzanella Salad with raisin walnut bread, spinach, basil, celery, red onion, apple, Bleu cheese and roasted shallot vinaigrette. 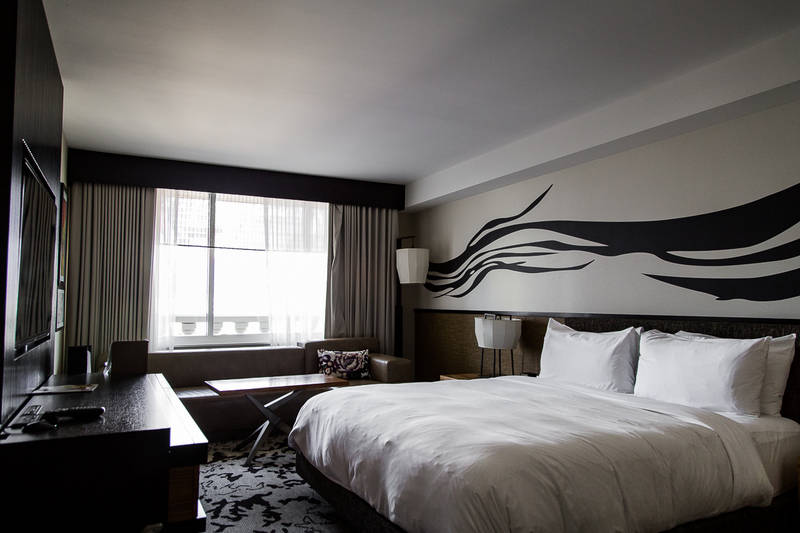 There's a perfect hotel for foodies in Vegas, and it's Nobu Hotel at Caesars Palace. 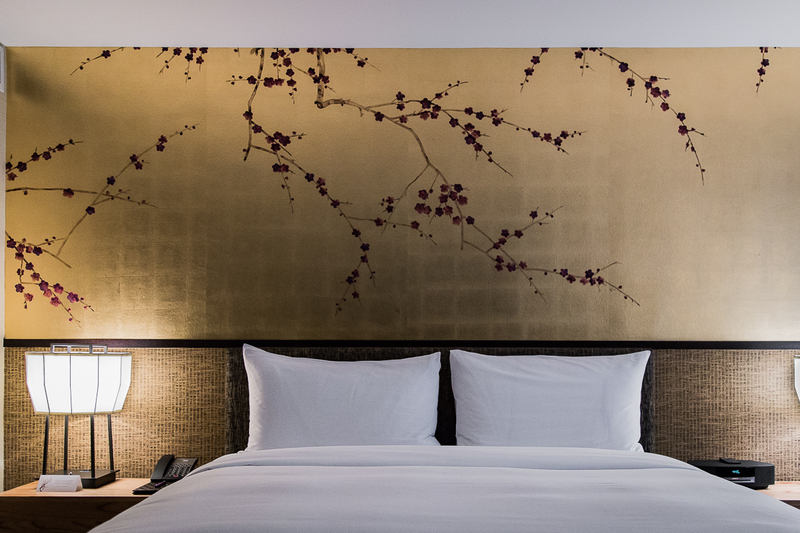 That's right, Nobu, one of the world's most recognized Japanese restaurants known for upscale dining, has a hotel that's equally impressive in luxury, style, and service. 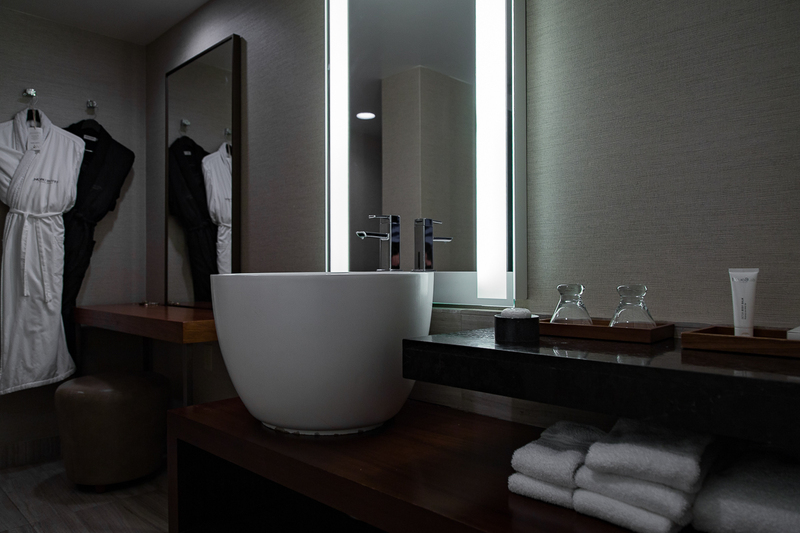 Centrally located, it's the perfect base to experience Vegas Uncork'd. 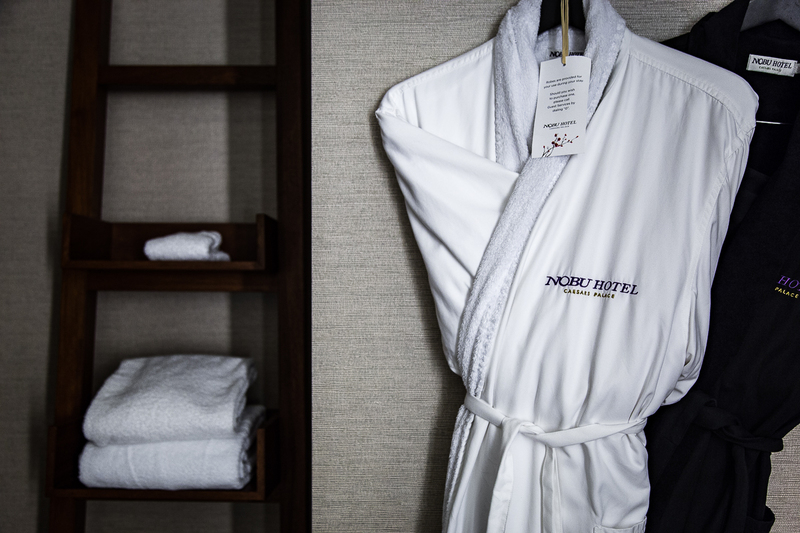 And if you're not full from all the food at the events, the hotel offers in-room dining from Nobu Restaurant downstairs. For breakfast, order the matcha green tea waffles.